The sweet, juicy, Chinese lychee fruit is one of our favorites and for that reason we planted a lychee tree in our front yard several years ago. Even though we had to fend off hungry birds and dog walkers, we enjoyed these fruits for many years. It just so happens that this week I received a cocktail shaker set from a good friend (Thanks Sam! ), which perfectly coincided with our intention to make a cocktail for this week’s recipe. 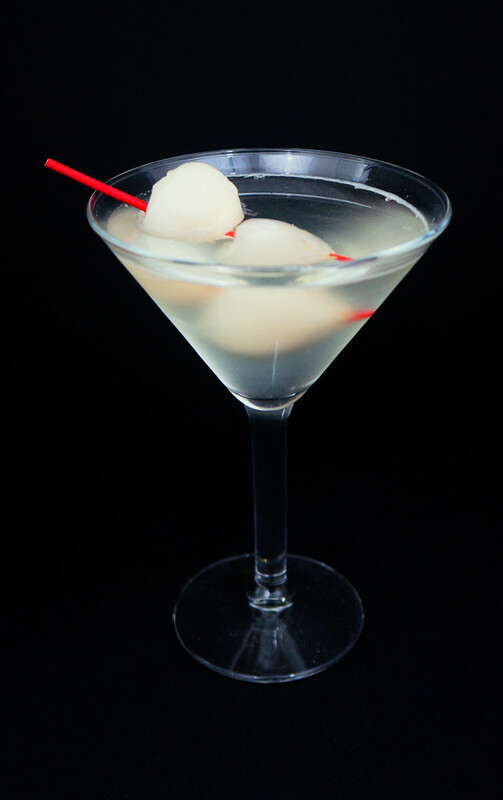 The lychee martini is a favorite amongst our aunts and cousins (particularly Maria Helena Acevedo-Bast) and has recently become very popular in Miami. Go out and impress your friends at the next cocktail party with this simple but delicious drink. In a cocktail shaker add ice, vodka, lychee juice and vermouth or st. germain. Shake and pour through a strainer into a martini glass. 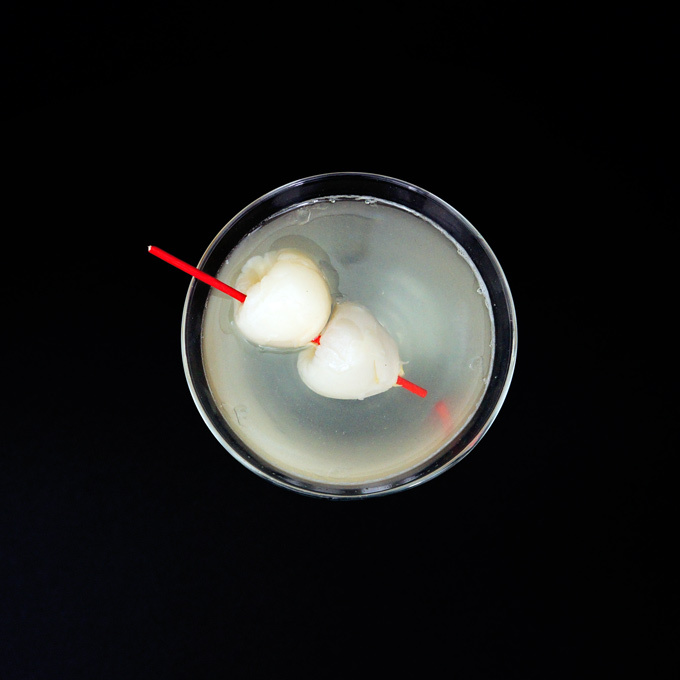 Garnish with 2 lychees on a cocktail pick. Try it with pear vodka!